Content Marketing Funnel: Creating High-Converting Funnel Content! We’re not going to insult your intelligence by explaining the importance of content in a sales funnel, and also that it comes in many forms other than blog posts. It’s a conception many business owners, to this day, still have that content is just another word for blogging – well, that’s wrong. Blogging most definitely has its place in content marketing, but remember, it comes in many forms. The creation of an optimised YouTube video promoted on social media? That’s content marketing. An infographic shared with others in your industry niche? Again, that’s content marketing. Picture this scenario; you’ve landed on a blog post filled with useful information, which is great. The problem being there’s an overload of text on this page. There are no videos or images, for example, to break up the text or even a carefully placed contact form. Blog posts like this are published by marketers all the time who should really know better. Your job is to be the exception to the rule. The traditional sales funnel has evolved over the years with content playing a crucial part in building trust with prospects and securing sales. Marketers are now able to support each stage of the funnel with unique, sales-specific content types that qualify, nurture and convert prospects into loyal customers. Creating a content marketing funnel opens up a world of opportunities. How often should I write blog posts? Should I include images/videos? If so, how many? Is there a percentage of budget I should dedicate to promoting my content? These clients are simply missing the point of clever content marketing. When done right, content is not about getting ahead of the competition. When you consider the needs of your customers, this just happens naturally. In the case of sales funnels, every page is an opportunity to bring a lead closer to a sale or engage with an existing customer. Quantity is important. However, the synergy of content is essential and a no-brainer when looking to engage with potential customers. In other words, you may publish 100 blog posts that all rank at the top of Google. That’s no good unless your content encourages them to take action. 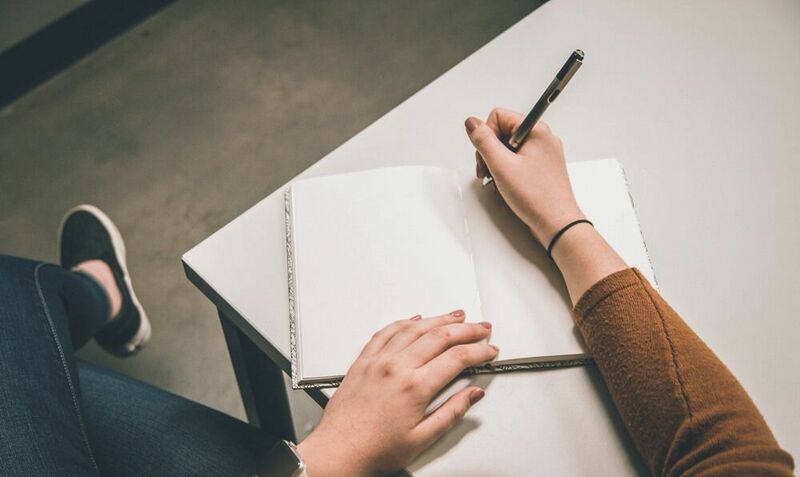 If you struggle to come up with relevant, engaging material and learn new ways to repurpose dated content, this article is for you. A content marketing funnel is a system that steps you through the sales process, from their first interaction with your brand to becoming a loyal customer. Picture the top of a funnel. This is where many people may be interested in your product and services. These people are your leads, or prospective customers. As they make their way through the neck of your funnel, they may drop off. An even smaller number of prospects will make it to the end of your funnel to become paying customers. Attract – sending people to your offer page. Evaluation– where people decide if your product or service is suitable for them. Purchase – when the prospect gathers enough information and trusts your brand enough to make a purchase (the goal of any content marketing funnel). 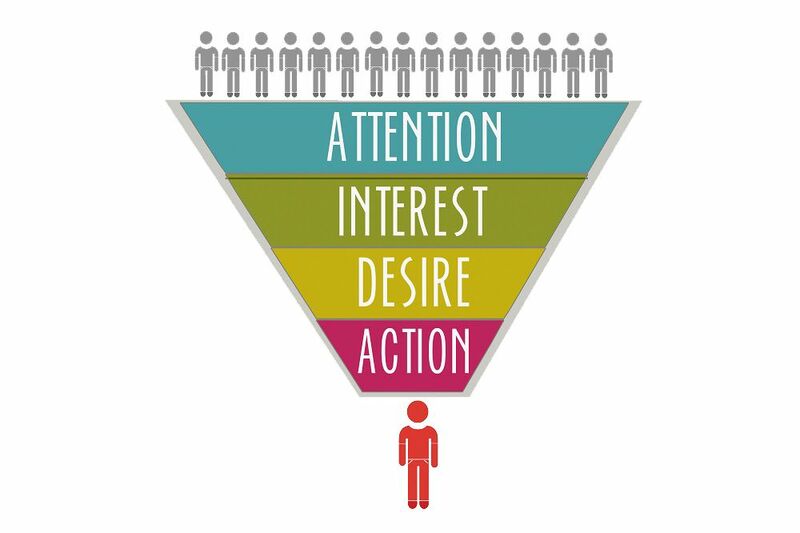 The great thing about a content marketing funnel is that you can attract people at any point in your funnel, whether they are first interacting with your brand or on their second purchase. As more leads continue to interact with your content funnel, the wider the top of your funnel will become, and the more people will find your brand. Now for the burning question that you all came here for; what content is placed where in your funnel? Decide on a traffic method to ensure people find your content marketing funnel. You can opt for organic, paid, or a combination of the two, depending on your budget constraints and marketing time allocation. The best option is undoubtedly Facebook ads, which fall under the paid category. For an ecommerce business, there really is no better platform than Facebook to promote your products. You can get super granular with your targeting making sure you only reach people who are genuinely interested in what you have to offer. Options include targeting based on location, age, gender, search history, and interests. There’s plenty of scope to locate your ideal customer and lure them into your sales funnel. Providing the content is up to scratch, that is! In this ad, the hook is the first thing you see, which is an image of a wrecking ball slamming into your competitors. It’s eye-catching and certainly packs a punch! The offer concludes the post with a big red button and call-to-action directing people to click. This Facebook ad delivers an unbelievable 80% click-through-rate. By following this process, you can deliver the same incredible results. We then move onto your landing page, which is where the magic happens. And by magic, we mean where your prospects make the first point of contact with your business. The key is to give something away for free at this stage. Whether you’re offering an eBook, trial, infographic or another service, your goal is to capture data. The first lesson here? Keep things simple – super simple! 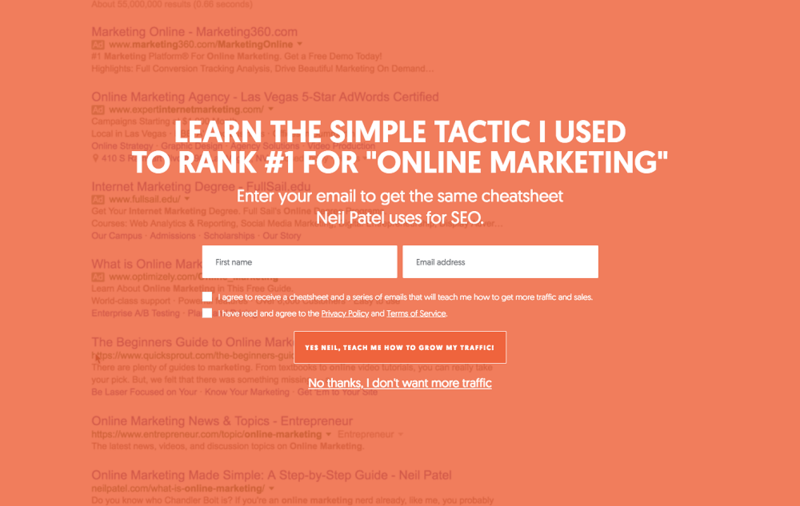 Take this landing page by marketing master, Neil Patel. You’ll notice the simplicity of this form, with more negative space than text. It gets straight to the point using a headline telling you precisely what to expect – the secret to ranking position one for ‘online marketing.’ For anyone in the SEO industry, they will understand what a challenge this can be. It’s impressive by anyone’s standards, which generates interest and encourages people to enter their details. For completely new prospects with limited knowledge about your business, the best content marketing funnels are short introductory pages or infographics and products videos with a clear message. In other words, there should be as little written content as possible. Keep in mind that no one cares about your business at this point. It’s harsh, but true. Unqualified leads don’t know what you do or what can offer them. So you need to them to trust you before jumping in with a sale. Your leads have now found your landing page, checked out your social media accounts, laughed along with your viral videos, and are hungry for more. You have built up a strong rapport with them by way of one simple landing page. It’s crazy what a clever content marketing funnel can do, right? One of the first thoughts a reader will have when entering your funnel will be ‘do I trust this business enough to make a purchase?’ The best way to establish this trust is by offering them free advice. By sharing email content to the top of the funnel prospects, it’s possible to pinpoint what your customers are most interested in. The products with the most opt-ins, likes and shares are the ones you want to push more. Share a survey asking email subscribers ‘What do you want to see more of?’ and ‘What did you think of our recent offering?’ This way, you can tailor your content marketing funnel specifically to their needs. Let’s not forget the power of a delighted customer, and the impact they can have on the profitability of your company. It begins with helpful and informative content that not only proves the value of your product but your knowledge as well. It’s what builds trust. A content marketing funnel is a great way to surpass that initial doubt as you are not going in with a hard-hitting sales message. Instead, you’re offering an informative infographic or an inspirational video, for example, where you give them something and don’t ask for anything in return. With that, trust is formed. 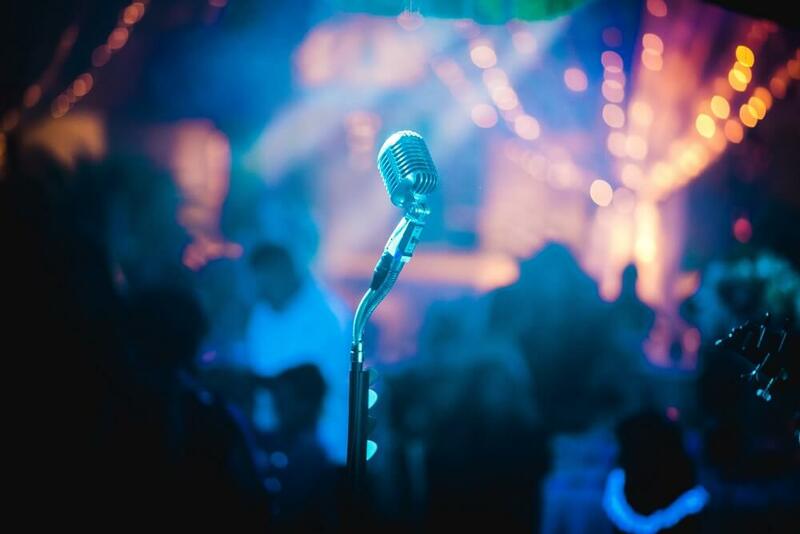 All prep work is complete, the stage is set, and you’re ready to approach your audience with your most persuasive speech! At this point, you are asking for your customers to part with their money in exchange for a product, so make it a good one! The best offers include multiple products to increase the perceived value. So, if you are selling an iPhone, don’t settle for money off the RRP. Instead, bundle together an attractive offer including a screen protector, case, earphones and a guide perhaps. Just remember to keep your costs low to ensure you make a profit! Your customers will consider this ‘a steal’ as they’re getting more value for their money. One final piece of advice to add is to be creative with your content marketing funnel. Images and text are great, but what really gets your customers excited is interactive content. In other words, active content, not passive! Anything that allows your customer to take part in your content will increase the value. By requiring an action will make them more deeply involved in your content, giving them a reason to continue exploring your pages. You’ll need something to build out professional landing pages. 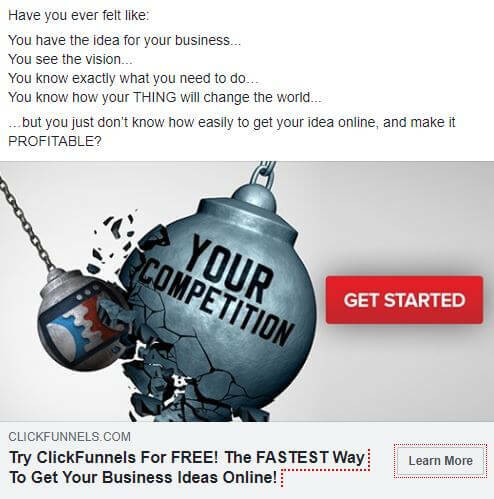 If you don’t have a website, why not consider Clickfunnels? They have a Free 14-Day Trial at the moment, so you can try before you buy! Sign me Up To The Free Trial! Still got content marketing funnel questions? We hope this guide has gone some way to help you plan your content marketing funnel. Still got questions, though? We’d love to help you get started! We’ve got over 20 years’ experience creating high-converting landing pages, so would love to help you achieve the same great results. Chat with our friendly marketing team on 01226 720 755 for professional advice.